Yasaka Leader 3D is high quality a competition bat with a blade similar to swedish competition plywood and Top 12 rubbers, designed for the young competition player, playing an allround game. Rubbers with high friction and 2 mm sponge for good speed. The bat has the special 3D technique inside. The 3D technique was developed in the famous blade factory in Tranås, Sweden. 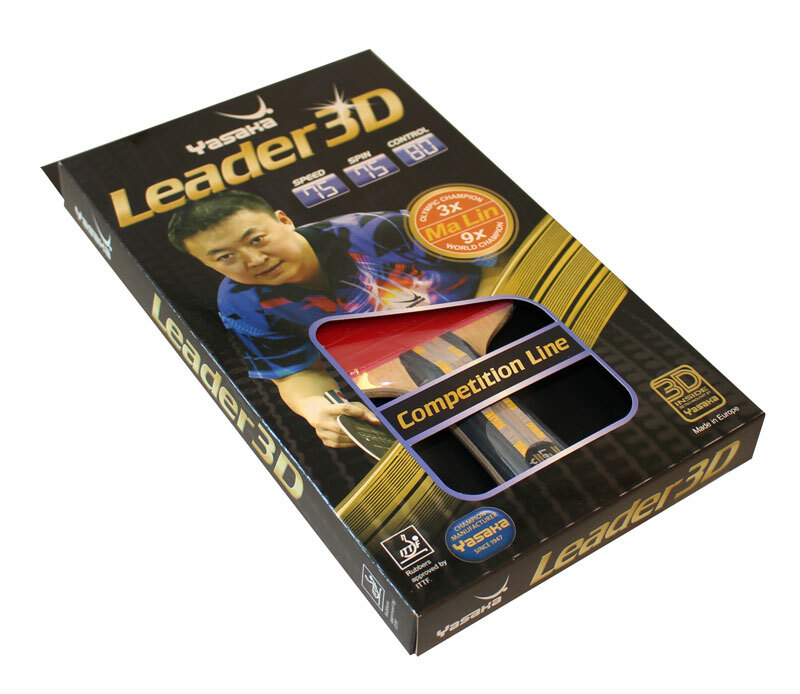 The 3D Yasaka model has introduced a new idea in construction and production of table tennis blade, thus giving a faster complete bat. The 3D construction, gives more flexibility to the blade and helps to generate a catapult effect, increasing power when hitting the ball.